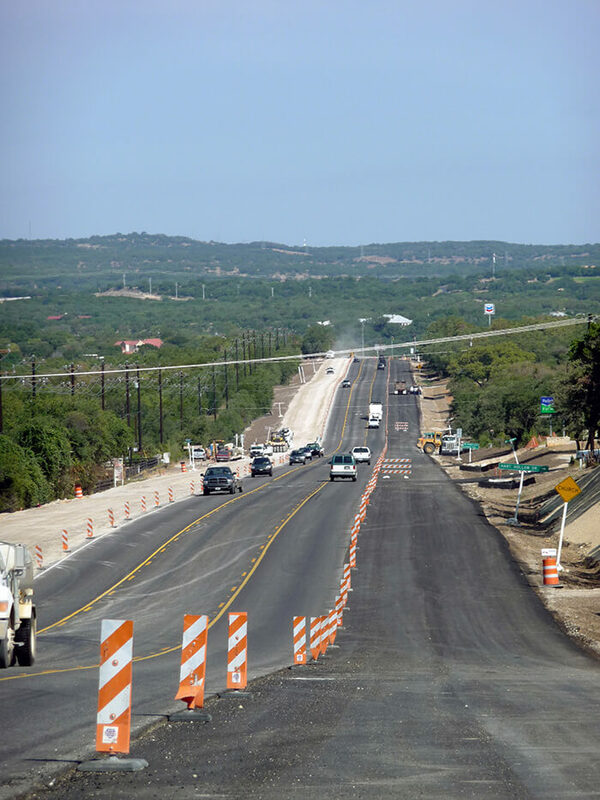 KFA was contracted by TxDOT to widen a section of SH 71 between RM 2322 and Reimers Road in western Travis County. The area had experienced significant increases in traffic in conjunction with expanding development. 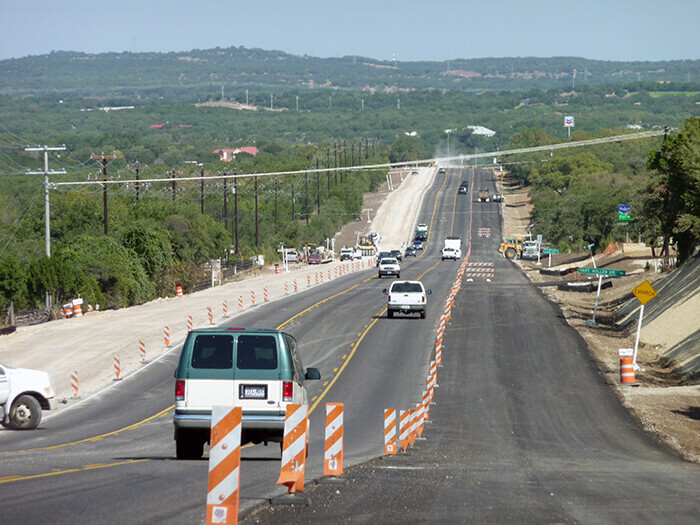 KFA prepared the complete plans, specifications and estimates including project layout, roadway plans and profiles, culvert layouts, erosion control, signing and marking, and roadway cross sections. A hydrologic analysis was prepared using HEC-HMS of the five cross culverts located within project bounds. The results of this analysis were used within a HEC-RAS model to analyze conditions at the time, and it was found that all cross culvert locations were adequately designed to meet TxDOT’s requirements. 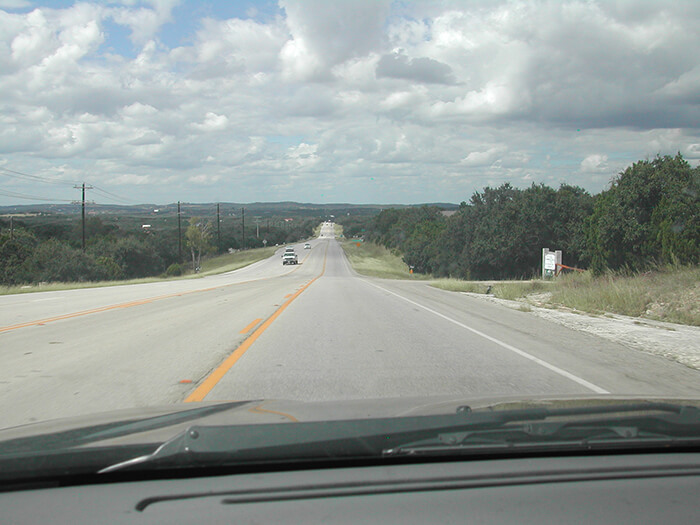 Due to the Hill Country terrain and existing roadway layout, it was difficult to accommodate existing land access due to steep driveway slopes once the roadway was widened. It was imperative that land access for local businesses and residences be maintained throughout the project area. KFA analyzed over 50 driveways and gave careful consideration to these areas in order to maintain design standards for driveway grading while keeping access rights available to all landowners. The traffic control plan included a 3-lane section designed to ensure safety during the construction phase, and provided a continuous two-way left turn lane to accommodate existing turning movements without having adverse effects on thru traffic. The overall project was completed with the conclusion of construction in early 2010. Safety and mobility improved as a result of the project. The addition of the two-way left turn lane allows for separation of left turning traffic and reducing the chances of rear-end collisions. With the addition of a shoulder lane, safety has improved along the corridor. The traffic control plan included a 3-lane section designed to ensure safety during the construction phase, and provided a continuous two-way left turn lane to accommodate existing turning movements without having adverse effects on thru traffic. Significant increases in traffic in conjunction with expanding development. Safety and mobility improved as a result of the project.